So, it has indeed been an exciting week…meeting, greeting, tweeting and again, eating! Wednesday saw a fruitful meeting between myself and members of the Pacific Institute (PI), the local organisation I am conducting the research through, where we discussed the SY strategy and how we would like to collaborate this year. An impromptu offer (think there may be many of these to come!) sprang up that evening to join John Tasirin (PI) on a chat show on Indonesian TV, blimey! So, there I was the following evening, on local TV channel TVRI, with the scaly theme of reptiles. This herpetepaunistic topic has something of a fondness with me, so being surrounded by beautiful snakes I was very pleased! So, what was this bule (white person) doing sitting in between a biodiversity specialist (John), snake owners/gropers and a rather charming and overly well-groomed host? 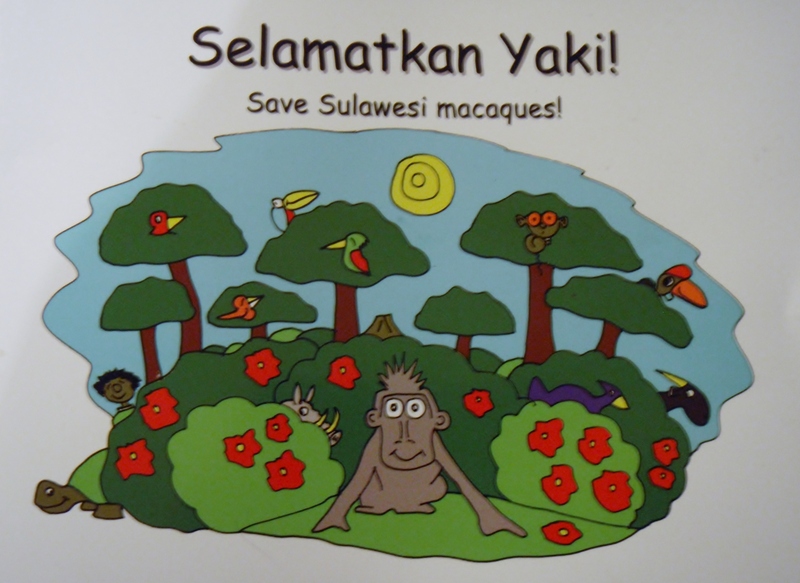 Well, I was wondering that a little too, yet, despite my slight discordance with answering the questions asked, it was a splendid opportunity to get out the Selamatkan Yaki conservation message! Quite a test of my Indonesian, and I am yet to see the recording (as it was live) so I may well have been an incoherent furball, we shall see. Climax of the week was Friday, as I was invited to attend a meeting about developing an ‘Economic Centre’ in a city called Bitung over on the East coast of N. Sulawesi, with the big guy Mayor himself. Very grand, formal and indeed enlightening. Once again wondering a little about my presence there, but actually this was a fantastic opportunity to introduce myself to the man who is largely responsible for getting things tightened up in Tangkoko, the National Park within which are one of the last strongholds of macaques. So this will be followed up in the coming month with a meeting to discuss the potential of ecotourism in the region, as well as tightening up law enforcement and ranger training…. 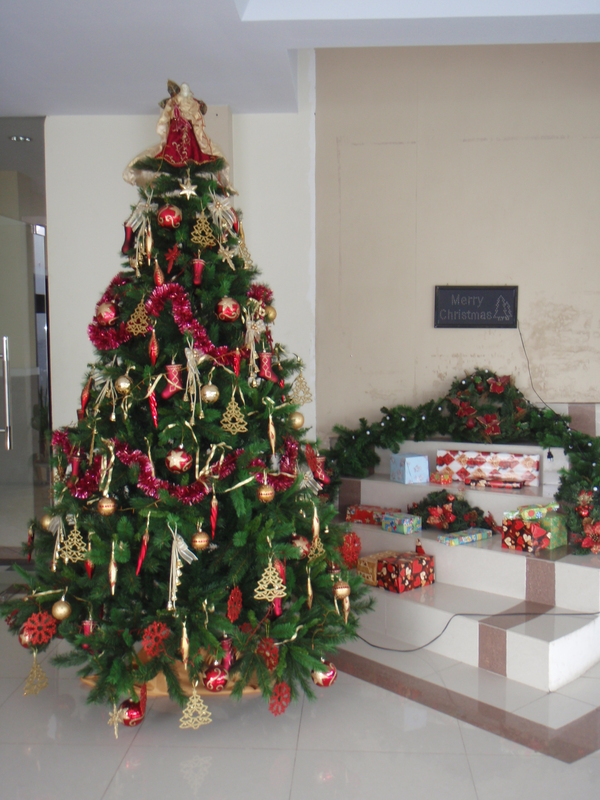 On a much lighter note, I am loving the Christmas trees here, an endlessly pleasing greeting in my homestay, as you can see! Hello, what exactly is your question? I’d like to start a blog so I will be able to share my experience and views online. Please let me know if you have any kind of suggestions or tips for brand new aspiring blog owners. Appreciate it!